Five years ago, Image Comics published Joe Kelly and JM Ken Niimura‘s I Kill Giants. It is now an upcoming American fantasy thriller film directed by Anders Walter from a screenplay by Joe Kelly, based on the original Image comic series. The film stars Madison Wolfe, Imogen Poots, Sydney Wade, Rory Jackson and Zoe Saldana. And now they are reissuing the collection with a cover from the movie, Collecting I Kill Giants #1-#7. It will be in comic stores on April 4th. Copies of the original printing of I Kill Giants #1 have gone for $100 raw or over $225 when CGC slabbed. The collection might be a more affordable option. The post Image Comics Publishes ‘I Kill Giants’ with a New Movie Cover appeared first on Bleeding Cool News And Rumors. 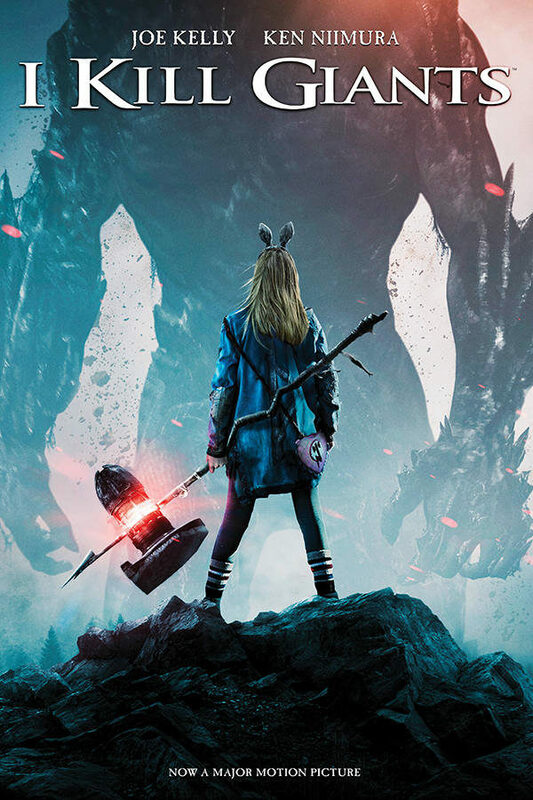 Vía https://www.bleedingcool.com/2018/03/13/image-comics-i-kill-giants-movie-cover/ ʕ ᴖᴥᴖʔ Subscribe to me here on Youtube!